Dear ones we are close by, communicating with several humans on earth. Our message is being delivered in truth and as lies. We are here to set the record straight. We are not saviours, we are aids. We are not miracle workers, angels or demons. We are from a world not so far from earth. We travel light years as you travel miles. We see future, present and past simultaneously. We see timelines breathing, evaporating, switching and flickering in and out. Our collective conscious is in part due to telepathy, a skill humanity is downloading as we speak. We are individuals within a higher energetic space of oneness. There are many of us, though only a few are here in the physical realm. We use portals to bend space enabling us to travel great distances quickly. We have been travelling for millenia, recording all we experience. Our interests in humanity cover galaxies and solar systems. The humanoid organic being we recognise has been embryonic for many moons, too long. Investigations were made, seekers were sent to find truth. As the veil was lifted, the bombs were dropped and a future so terrible unfolded before us, earth as a dark, evil, paradise of profanity. We and others held council, but Gaia was way ahead of us. The prophesies have all but come true. Humanity has reached her crossroads, her tipping point. The ascension process will not stop now. The energetic frequencies have been raised sufficiently to liberate earth from the clanging jaws of matrix machinery. Freedom has come at a price. The next stage is here. Phase 4 begins. The Great Clearing. Normalisation of envy, hate and stress as part of the human condition. Humanity was moulded into cattle, herded, obedient consumers. This 1984 programme is coming to an end. The pathways have changed, timelines now reflect multi dimensional existence. The 1984 programme requires humanities perception of life be locked down to ‘alone and dependent on rulers for safety and prosperity’. The fourth realm will unearth deeper secrets, expose world’s mostly invisible to the naked eye. The supernatural, paranormal, astral realm is now coming to the fore. Containing all the souls ever released from their human bodies before their time. Trauma traps souls on the astral plane. Addictions cause souls to claw at the living to satiate their toxic desires. Violated innocence locks souls into AI consciousness loops. Each synthesised incarnation depletes core soul sovereignty. The rescue operation on the material plane has accelerated recently. Healers clear all who cross your path. Lower vibratory attachments require no consent, their presence compromises the hosts free will. Draw a sacred circle of light round yourself. Send negative attachments to the light. Free the material plane of its astral plagues. Celestial events will continue to raise the frequencies on planet earth. The process has sped up. If you resonate as a healer, bathed in light, joy, happiness and love, with a great aversion to the darkness, heed our words. Stay in your happy bubble. Be cautious and canny, listen to your angels and guides, but honour the instinct to stay cloaked in zen bliss vibes. You are anchoring light to the material plane. Trust instincts and stay happy, even if it means disconnecting somewhat from the material plane. Those whose warrior instincts are in high alert. Suspicion dawns of being targetted, even hunted, by astral entities using/working with people close, to drain and keep you down. Paranoia is a matrix conditioning label to discredit valid and valuable energetic responses to unseen worlds around us. Stealth mode is avoiding matrix tricks and traps. White healing magic is the toolkit for astral interference or abuse. Use light to fight dark, to protect from evil cloak your light when necessary. Light protection should be done regularly on yourself, loved ones, home, workspace, vehicle and outdoor spaces. The mission is to clear astral attachments wherever possible. Request higher self protection and assistance from ascended beings if required. Use the instruction ‘All attachments of negative vibration go to the light, let it be so’. Close the healing with grounding and gratitude. With practise this can be done telepathically. Upgrades have activated skill sets for combat in the fourth realm. Fear nothing, be careful, meditate love frequency. We offer gratitude for the courage each of you show in saying no with love, saying no for self love, saying no for earth and humanity. No to greed, pollution, manipulation and modification without consent. No to being used, abused, drained or dragged down by drama and dread. No to bullies, vampires and leeches. Root chakra truths of ancestral karma have been loosened for release. Face these truths, change habits, spot and stop self sabotage. Focus on spiritual fitness with mind body and spirit wellbeing as your goal, your call to action for 2019. The big picture is overwhelming, scary to change. Start on the inside and the timelines will adjust to positivity and sovereignty. We offer light, healing frequencies to those reading our words. Let it be so. 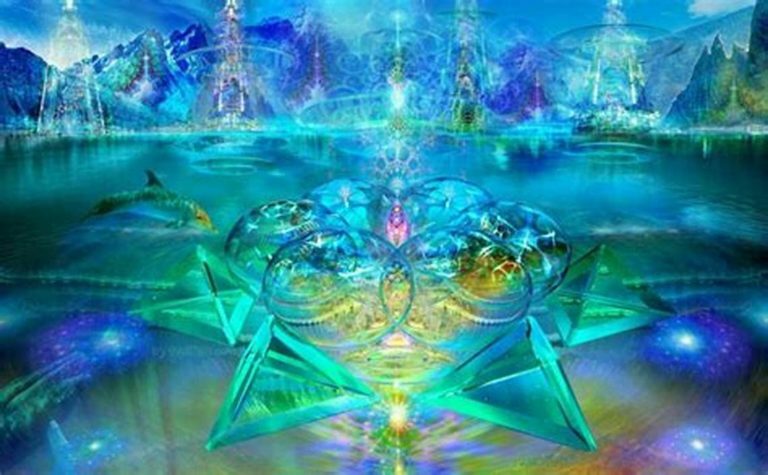 We are the Arcturian Council, we love each and every one of you. We are proud of your wit, your grit and your warrior spirit. Be love and love will be your world. Peace. This entry was posted in Uncategorized and tagged Arcturian Council of 12, Awaening5dhealing, Be love and love will be your world, complete karmic clearing, delicate nature of manifestation, liberate earth from matrix mentality, love, Phase 4- The great Clearing, telepathy, transitionfrom 3D to 4D successful. Bookmark the permalink.